Hello, My name is Gloria and I'm 17. When I first experienced SP I was 15 and I was sleeping next to my mother due to family staying at my house. As I was falling asleep I felt this strange sort of hum in my body as if my nerves were vibrating but I couldn't help but fall asleep the next I knew I was staring at the ceiling hardly being able to breath and my body felt like it was being squashed between the bed and some massive invisible force. I was so scared, I couldn't think my mind was racing. The worst thing was the fact my mother was so close and yet she wasn't aware and nor could she help. When it was over I was too scared to go to sleep and when I did it happened again. Since then SP has been a constant problem and even though I know I'm not in any immediate danger it's still scary and I'm terrified to sleep, does anyone have any suggestions on anything regarding this matter. Please help. Thanks for sharing a bit of your story with us. I imagine it's just plain frustrating to have to worry about whether a sleep paralysis episode is going to happen each time you go to sleep. 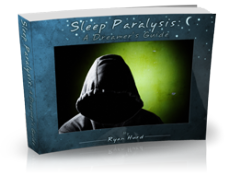 Many people can relate to your frustration and fear though when it comes to sleep paralysis, and it's definitely important to have a place to talk about it when you're going through them this regularly. 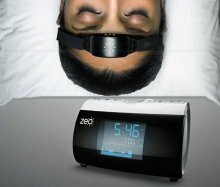 It sounds from what you describe that you're having a good deal of sleep paralysis of the sleep onset variety, which is considerably less common than sleep paralysis experienced when waking up. They are causes by what's known as a sleep onset REM period, which is exactly how it sounds--a period of REM sleep right when you fall asleep, rather than after cycling through non-REM first. Sleep onset REM periods are one of the main symptoms of a condition called narcolepsy, which you can read up on here if you like. I wanted to make sure to share that in case you read it and feel like you're experiencing any of the other symptoms too. That "Hum" you feel like you mentioned about your nerves, When SP happens to me i think i can best describe it as the "very tired/weak" feeling after pulling an all-nighter.